PolarFox: next generation Visual FoxPro! 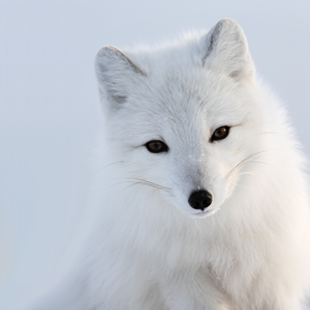 "PolarFox" is the codename for our R&D project towards the next-generation Visual FoxPro development stack. By using Xbase++ as the technology platform, Alaska Software is going to provide an RDE able to seamlessly load existing VFP projects into a new and even more powerful design and runtime environment. In other words, Alaska Software wants to become for Visual FoxPro and FoxPro developers what we already are for Clipper developers: the natural successor! In business terms, PolarFox is going to provide any Visual FoxPro developer with a tool stack able to modernize existing Visual FoxPro applications by leveraging existing knowledge. We believe that by using our technology, existing VFP applications will get a higher reliability, better performance, client resource utilization and scalability than ever before. We are currently assembling more information. So please stay tuned and have a look here again in a few days. Please checkout Q & A section and help us to get your questions answered. See how innovative technologies can relive your burden and make your life as a developer easier and more productive. Get an idea why PolarFox is not a 1.0 product in quality terms! Learn why PolarFox is not just a Visual FoxPro compatible development tool. Are there any runtime fees for Xbase++? When will Xbase++ 3.0 be available? How to use Xbase++ today to extend an existing VFP solution? How compatible will Xbase++ 3.0 be with VFP? As a VFP developer, when shall I start with Xbase++? Learn about our final plan! Alaska Software wants to become for the Visual FoxPro developer what we are for the Clipper developer: The natural successor, the vendor of the next generation development stack and a long term partner. Yes, I want to stay informed! Register with ALaska Software.